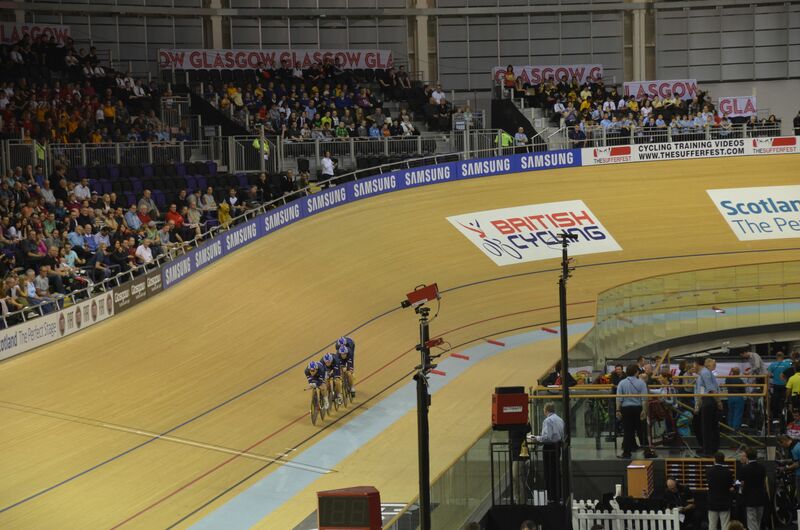 The 20th Commonwealth Games was bookended by its track and road cycling events. With a different mix of events included in comparison to the Olympics there wasn’t quite the same slew of medals seen at London 2012, but that also had a lot to do with the current state of GB track cycling. London was the last hurrah for the riders who had carried the success of the track programme on the shoulders since the beginning of the last decade. Sir Chris Hoy who would see the track events take place in his eponymously named velodrome had originally planned to retire at the games. Victoria Pendleton retired immediately after the London games and was a media presence at the games this time while her sometime nemesis Anna Meares continues to dominate the women’s sprint. Part of the decline in British track cycling’s fortunes since London are put down to the four year Olympic cycle that sees the principal riders of the track team peak in line with that event. In other words; forget about the results now and look forward to Rio. So far the fall off in results doesn’t appear to be having an impact on the popularity of the event. Track meets featuring the medal winners from London like Jason Kenny, Laura Trott and Joanna Rowsell are assured to be a sell out, even if the crowd don’t always get the result they want. The cheers for the household names are always the loudest, irrespective of the outcome in their particular event. The decline has been most keenly felt in the men’s sprint. Hoy had been replaced by the younger Kenny in London, but since he took the Olympic gold his results have been patchy. Physically smaller than Hoy, Kenny wins his races with bike handling and guile more so than outright power, but he’s often struggled to make the final in meets in the last year. He took Silver in Glasgow, losing here to the New Zealand rider Sam Webster. One half of track cycling’s ‘golden couple’ Kenny’s girlfriend Laura Trott took her own Commonwealth gold in the points race, narrowly beating Elinor Barker. In contrast to the emotions shown by some of the home nations medal winners across the Glasgow games Trott had been embroiled in a bit of a social media spat ahead of the games by appearing to downplay the status of the event in comparison to the Olympics. Trott failed to say she had been outright misquoted in the Daily Mail interview, but she didn’t have quite the same profile at these games and seemed happy enough when she thought she had missed out on the winners medal in the immediate aftermath of the points race. The women’s team pursuit where Trott had won the first of her Olympic golds with teammates Roswell and Dani King was missing in Glasgow. The dominant rider of the trio, Rowsell took the individual gold in a display that cements why she’s the current world champion in the event also. One of the successful elements of the track programme (the whole games in fact) was the integration of the paralympic events within the schedule. Scotland’s Craig MacLean took two golds with Neil Fachie in the tandem events after returning to the track. MacLean had been one the very early successes of the GB track programme and his return makes you wonder of Hoy could do something similar in Rio. The likelihood is not, but there’s surely some merit in the MacLean model allowing further integration of paralympic sport as well as the prospect of raisin para sports profile yet further. It’s hard to mention MacLean as a rider returning in search of former glories without mentioning Bradley Wiggins having another tilt on the track. Wiggins returned to anchor the men’s team pursuit squad. Working with the team for barely a week before the games Wiggins seemed happy with a silver medal. As with the sprint the benchmark for success is gold in Rio in two years time. Wiggins is also extremely realistic about what can be achieved, he was similarly sanguine about his silver medal in last years world championship time trial defeat to Tony Martin. Wiggins missed the individual time trial and road race in Glasgow and offered some thinly veiled thoughts on his road racing future in a wide ranging interview the day after the team pursuit. Describing the road scene as “..very political” he confirmed that he no longer expected to lead a team in a grand tour. Out of contract with Sky at the end of this season this admission would appear to limit where Wiggins could go next year, if indeed he does continue to race on the road. He’s been announced as a late call up to Sunday’s Ride London event, an indicator of the fact the Wiggins is box office as far as race organisers (if not Sky) are concerned. With Mark Cavendish choosing to pull out of the race as he continues to recover from his injury sustained at this years Tour it’s possible that Cavendish’s appearance money has been redirected in Wiggins direction. Back to Wiggins plans for next year, the choice seems to be remaining with Sky on the basis that they will be more likely to accommodate his track plans or to do a (likely) very lucrative one year programme with another team who will bank on his marketability. This could open up any number of teams. With Jens Voigt retiring Trek might see the benefit of providing Wiggins with a birth to defend his Tour of California title and he could be a useful counterpoint to Fabian Cancellara in the classics. VCSE has mentioned BMC in the past, but that seems as unlikely as a move to Orica Greenedge who definitely wouldn’t be supportive of Wiggins building up to the track in Rio where Australia will also be targeting medals. Garmin, or whoever Garmin become next season when they hook up with Cannondale as a bike supplier might still be an option but as things stand it’s entirely possible that Wiggins will stay with Sky or even walk away from road cycling altogether. Wiggins retains the capacity to surprise us and whatever he ends up doing it may well be something that no one predicted! Long before their son Marcel was a glint in Herr and Frau Kittel’s eye another German from different time said “No battle plan survives contact with the enemy”. If the script (if not the plan) had been followed yesterday we would have seen Mark Cavendish claim his first ever maillot jaune on the finishing straight in Harrogate on stage 1 of the 2014 Tour de France. Instead his Omega Pharma Quick Step team are trying to come up with a plan B for the riders left in their squad after Cavendish withdrew from the race ahead of today’s stage as a result of the injury he suffered in the final moments of yesterdays sprint. Everything had been going so well up until then. If there was one thing that couldn’t be guaranteed for the second grand tour opening weekend to take place in the British Isles in 2014 it would be the weather. There was much at stake to show that Yorkshire was going to prove to be the right choice for the opening stages of this years race. The greatest risk came from the possibility that the dales and moorland that much of the race would be run over during the weekend could be shrouded in mist and rain if we were ‘enjoying’ typical British weather conditions. 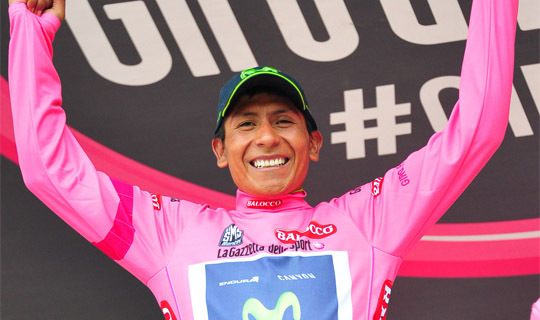 This years Giro d’Italia ‘Big Start’ in Ireland was beset with wet conditions pretty much from start to finish and while this didn’t dampen the enthusiasm it did impact on the spectacle. It was extremely fortunate that any rain that was forecast had pretty much disappeared by the time stage 1 got underway yesterday. The crowds that gathered ahead of the start in Leeds for the signing on ceremony where the shape of things to come and both stages have been characterised by huge crowds wherever there was a climb, town or village for the Peloton to pass through or over. And these weren’t just crowds or two, three or even four deep at the roadside. Any vantage point or bank that afforded a view over the heads at the side of the route was packed out with fans. Sure, many of them would have been asking their neighbour “Where’s Wiggo?” but that wasn’t the point, Yorkshire had turned out for their very own version of a grand day out. The waves of people that crowded onto the parts of the stage that went up, particularly the few categorised climbs were incredible, an almost perfect copy of an Alpe d’Huez or Angliru but with a British twist. There were few of the fancy dress runners sprinting alongside the riders yesterday, the way through the crowd was narrow but not bad tempered as it had been in the Giro earlier in the year. If the Yorkshire Grand Depart is going to be judged a success for one reason it should be for the sheer number of people who felt engaged to come and stand by the road and watch the race go by. Will it encourage more cyclists? Will it inspire a young boy or girl to become a racer? Who knows. What is clear is that there’s an appetite to watch road racing on British roads at the highest level and if it makes it easier to stage races on closed roads in the UK that can only be a good thing. As far as the actual racing goes, yesterdays stage might have seemed a little dull if it had been held during the middle of the race in a dull French department. The three man break that went off the front pretty much from the get go yesterday contained the oldest man in the race Jens Voigt. As far as breakaways go Jens is the perfect rider and in this situation he was a gift for the commentators as they can get maximum mileage out his catchphrase, career longevity and the fact this is his retirement year. It might have been a harder race to call if the other two riders in the break, two Frenchman who’s names escape me, had made it stick and Jens had slipped back into the clutches of the peloton. As it went the Trek rider stayed away long enough to claim the KOM jersey as well as the most aggressive rider award. There was almost another surprise in store from Trek as the peloton tackled the final drag uphill in Harrogate. Fabian Cancellara broke away on the right hand side of the road as OPQS led the bunch on the left. If Cavendish’s team had thought they could impose some discipline on the opposition in the final kilometres, Cancellara’s attack that was followed quickly by one from Cofidis exposed them. By now Kittel’s Giant Shimano train was moving their rider to the front and Cavendish was losing momentum as the sprinters got tangled with some of the one day specialists like Orica’s Simon Gerrans and Cannondale’s Peter Sagan. As Cavendish tried to get onto a wheel he butted heads with Gerrans. 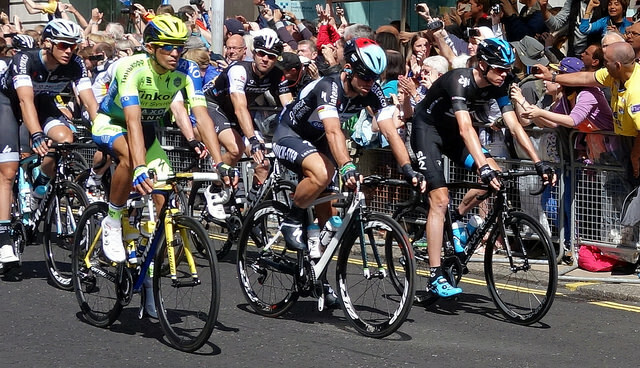 Gerrans moved left but was blocked by Europcar sprinter Bryan Coquard who sent Gerrans back into Cavendish’s path. In a moment both riders were down, Cavendish heavily and the perfect start that most of the fans had wanted was denied. The heart would have wanted a Cavendish win. Christian Prudhomme probably wished for one too; he’s given him two bites at this particular cherry now. The head said Kittel though* and it seems likely that he would have claimed a second opening day win and another over Cavendish even without the accident. The 2014 Tour had got off to a fairytale start but it had, for one rider anyway, had a nightmare finish. Mark Cavendish never looked likely to start stage 2 and despite the combined cross fingers of the OPQS squad he announced his withdrawal from the Tour, further depleting the already meagre British rider pool at this years race. The stage promised much, seven categorised climbs including one with just 5km to go as the race came through the back streets of Sheffield. There was a bigger break today and one or two might have fancied their chances of staying away, but in the end the catch was made and we began to anticipate a Peter Sagan victory. The preceding climbs along with some ill timed mechanicals had taken their toll and there were one or two riders who lost time on the day, Richie Porte’s miserable 2014 continued as he fell behind after a crash. But it was the final climb up the Jenkin Road in Sheffield where the stage came alive. 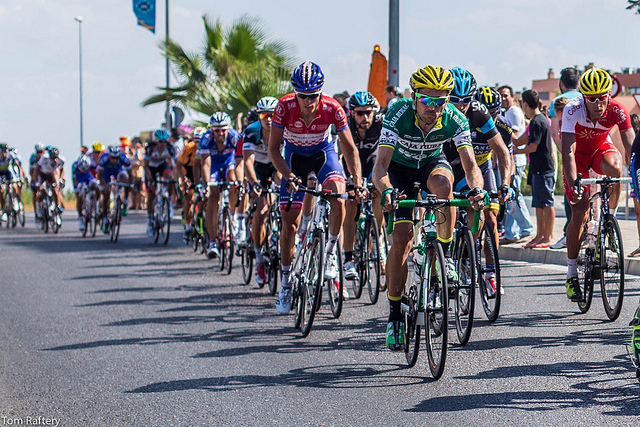 The GC contenders had decided that the best place to be was at the head of the race and Alberto Contador was the first to show his wheel at the head of the bunch. If Chris Froome spends his time looking at his stem, Contador only has eyes for Froome and he may come to regret climbing with his head twisted around to look at the Sky rider. Froome looked in trouble on Jenkin Road, not anything serious but another example of how he can suffer on a double digit gradient. As the ‘summit’ was reached Froome steadied and attacked. This time it was Contador who was caught, seemingly unable to respond and it was the Sky rider who might have achieved the victory in today’s GC mindgames. This wasn’t the end though. If the script was going to be followed now was the time for Sagan to strike out for home. As AG2R’s Peraud made a bid for victory, Sagan stayed back, allowing the potentially dangerous Greg van Avermaet to go clear. No one expected Vincenzo Nibali to spring an attack though; script torn up! With hindsight VCSE was reminded of Niki Terpstra riding away from the bunch at this years Paris Roubaix, everyone else looked at one another and by then it was too late. So Nibali goes into yellow and barring (literally) accidents on stage 5 he could hold onto it for at least the next week. Whether or not the Astana team leader has the legs to contend for the GC for three weeks is another thing entirely however. It remains to be seen whether this was Nibali taking an opportunistic win to set up a tilt at the race or was he just claiming the scraps that he feels he must go for from the the Froome Contadaor battle to come. The opening stages of this years Tour have deviated from the predicted outcomes and have been all the better for it. Whether or not the rest of the race continues to be unpredictable remains to be seen, but it would be impossible to argue that Yorkshire hasn’t delivered as promised the greatest of Grand Departs. With crowds lining the route in what has been pretty much awful weather it’s fair to say that bringing the 2014 Giro d’Italia to Ireland has been a huge success. The residents of Belfast and Dublin and towns and villages elsewhere on the route were always going to get into the spirit of the event and it will be interesting to see if there’s quite as much yellow being worn as Pink when the Tour de France arrives in Yorkshire in a month or two. There was a real sense that for three days at least the Giro belonged to Ireland rather than Italy and the weather couldn’t dampen those feelings. Whether the teams enjoyed the three stages quite as much is probably more open to debate. The stages didn’t throw up many stories and in many ways (as flat stages often are) were less than exciting. The spectators found much more to enjoy than the actual participants. The opening TTT had some human interest with Dan Martin’s cruel exit, the suspected broken collarbone now confirmed and Svein Tuft getting handed a leaders jersey for his birthday. Taking in some the most beautiful coastline in the UK along the Antrim coast it was unfortunate that the weather just made it appear so grim. The view might have given some respite had the weather been better as the racing itself was pretty flat. The peloton was content to put in the miles in return for a fresh (or in this case dry) jacket from the team car. Marcel Kittel’s presence meant that the sprint, at least in stage two, was a forgone conclusion and the Giant rider manage to survive even the disintegration of his lead out train to win easily as the race returned to Belfast. Ninety five percent of today’s stage from Armagh to Dublin was the same sleep inducing procession as the previous day, interspersed with accidents as riders nodded off through boredom. There was much speculation about a tricky S bend on the run into the line in Dublin, but as the race approached the roads had begun to dry out in the strong winds and it was negotiated with little fuss. The peloton had already been funnelled onto a narrower section of a couple of kilometres earlier and by the time they went through 1k to go were very strung out. Kittel on his own at this point was some way back from Sky’s Ben Swift and Cannondale’s Elia Viviani. Swift, who had recovered his place at the head of the race was led out by Edvalt Boasson Hagen and right up to the line you would have thought he had won it. But in a superhuman effort it was Kittel who nicked the win by no more that a wheel. The big German collapsed afterwards demonstrating just how much he had put into the effort to overhaul Swift who finished a disappointed but worthy second. The teams now go into a rest day as the Giro transfers down to southern Italy. Assuming Michele Scarponi is injured from his accident today, the race could have shrunk its group contenders already with Martin already out. The teams and riders will be hoping that no one has picked up a bug from three days of riding in almost continuous rain. There aren’t many conclusions to be drawn from the Irish stages. That Orica Green Edge are great TTT riders is hardly news any more than Marcel Kittel is the worlds fastest sprinter in the world right now. Of the world tour teams those with the least ambition look like Belkin and Lotto who have stuck riders in the breakaways on both days. The peloton may not look back on the Irish stages of this years Giro with much fondness (almost entirely due to the weather) but for the fans at the roadside the memories will linger on and hopefully inspire a new generation of Kelly’s and Roche’s. The Tour of California gets underway later tonight (UK time) with a stage starting and finishing in the state capital of Sacremento. The big story from the race is Sky’s entry. It’s a mixture of marketing for team and rider with Sky now sponsored by another News Corp company 21st Century Fox and Bradley Wiggins, who is now represented by agent to the stars Simon Fuller. The logic of the teams appearance in a marketplace so important for one of their title sponsors make sense, what isn’t so clear is whether or not Wiggins is the kind of character that American fans will take to their hearts. The possibility that Wiggins will make it big in the US is a question to be answered another day. Right now we have the rider’s stated aim of winning the GC over the course of eight stages that will follow the ToC’s traditional north to south trajectory after last years ‘experiment’ with a south to north parcours. The north to south route has often seen the early stages run in the sort of weather that the 2014 Giro Peloton has ‘enjoyed’ in Ireland and this was part of the motivation for the switch to a southern start in the ToC last year. The law of unintended consequences as far as the route change was concerned was that the early stages saw riders suffering dehydration and heat stroke with some of the rouleurs who had spent the previous weeks in the wind and rain of northern France and Flanders collapsing in the intense heat of the Californian desert. North, south or south to north is of less concern to Wiggins than stage two’s TT around Folsom a town whose previous and let’s be honest greater claim to fame is for its prison immortalised in the Johnny Cash live recording. The TT is short at 20km, but this isn’t much more than the archetypal 10 miles distance used for most club TT’s and will be a distance that Wiggin’s should be comfortable with. The bigger question in terms of his GC ambitions will be whether or not he can eke out enough of an advantage (assuming he actually wins the stage) to be defended for the remainder of the race. Sky have selected a squad that draws heavily on its US riders and it does look a little light on riders who will set the kind of pace over the climbs that feature later in the race that will be essential for a Wiggins win. The Sky / Wiggins appearance continues a trend seen before in the ToC which see’s riders integral to the marketing of bikes in the US making an appearance. Jens Voigt, a stage winner last year. is a case in point and continues his ‘farewell tour’ in the US. home of his bike sponsor Trek. The other marquee name worth mentioning is Peter Sagan. Sagan often has the sprints in the US as a bit of a benefit, but Omega Pharma Quick Step have bought Mark Cavendish and Tom Boonen this year, so Sagan won’t have things quite his own way in 2014 VCSE suspects. Keep an eye out also for young British rider Tao Geoghegan Hart who’s racing in the US this year and is likely to feature in at least one of the breakaways. Some might say that the rise in popularity in cycling in the UK has been driven by the success of the aforementioned Sky and Wiggins. Actually the growth in popularity has been as much if not more so because the successes have crossed the gender barrier and riders like Lizzie Armitstead and Laura Trott are as popular as the mod knight of the realm. Announced last year by Tour of Britain organisers Sweetspot the maiden Women’s Tour has been run around the east of England this week and has attracted the cream of the women’s peloton including Marianne Vos and Emma Johansson. It goes without saying that the chances of running an event for the first time, where the take up and interest from new fans will be so important to its ongoing success, needs good weather. Typically, as this is the UK it’s rained and when it hasn’t rained it’s been windy. The positive news is that this doesn’t seem to have dampened the spirits of the riders or, more importantly, the crowds who have turned out along the entire route to provide scenes that the women’s peloton aren’t always used to. Whether these same crowds will turn out again next year remains to be seen, but with a stage of the Tour coming through Cambridgeshire and Essex in July the locals are getting their fair share of professional road cycling this summer. 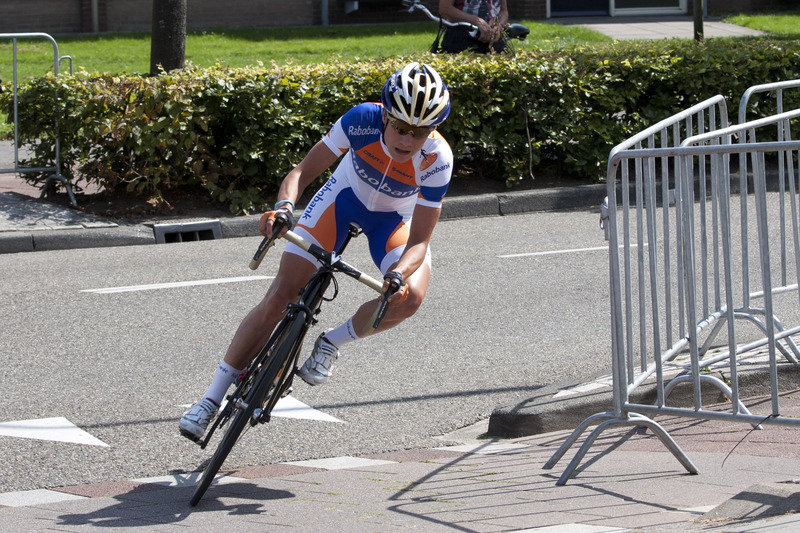 In trying to create a narrative to the race the organisers and media had attempted to talk up the race as face off between Vos and Armitstead. There was a grain of truth in this as Armitstead has enjoyed a successful start to the year with a win in the opening round of the women’s world cup, backed up by a series of podium places in the following rounds. With Vos only returning to the world cup at Fleche Wallone, Armitstead leads the world cup standings and from this the supposed rivalry with Vos emerged. The fantastically matter of fact Armitstead nipped this in the bud ahead of the first stage but the opening couple of stages did provide flashes of how much she has improved this year. Vos looked as if she was trying (and failing) to beat Armitstead in the intermediate sprints but the evidence of the final three stages would suggest she was just riding herself in. After Johansson took the opening stage, we were treated to a breakaway win from Rossella Ratto in stage two, the peloton getting a bit huffy with one another over who should be putting in an effort to catch Ratto. From then on Vos took over taking the next three stages and the overall comfortably. No doubt the supposed Armitstead / Vos rivalry was swept under the carpet at the end of the race; Armitstead didn’t even start the final stage. There was good news for British riders with two of the next generation of women Hannah Barnes and Lucy Garner finishing in the top 10, less than a minute down on Vos in the final standings. Whether or not the Women’s Tour is judged to be a success depends less on the crowds who turned out to what was a free event than the commercial success of the race. The title sponsor Friends Life was a late signatory and the some of the sponsors, familiar from the Tour or Britain, suggested that the organisers had been going around with the begging bowl to an extent. Getting a global brand like Strava involved was a bit a coup though. Is it the right thing to hold the Women’s Tour as a race in its own right as opposed to piggy backing the women’s event on to the Tour of Britain. This seems to work successfully at the Tour of Flanders and Fleche Wallone and there are some women in the peloton who want to race on a level playing field with the men. That the race exists is a good thing, but like the Tour of Britain itself has grown from its latest incarnation of ten years ago, The Women’s Tour needs to evolve.